1983-10-10 N351AS No Titles Seen OAK Seen being stripped of Orange paint. 1984-07-02 A4O-SO Oman Government Bought Reportedly the personal aircraft of Sultan Qaboos bin Said. 1984-09-12 A4O-SO No Titles Orange livery Seen BFI Seen inside Boeing plant, Seattle still in orange livery, now wearing a A4O-SO registration. 1984-11-01 A4O-SO No Titles ex Braniff livery Seen First flight after communications dome was installed. 1993-09-01 A4O-SO No Titles Metal fuselage Seen LHR Metal fuselage, communications dome. 1998-01-08 A4O-SO No Titles Seen CWL In BAMC at CWL for maintenance and work on its MIRTS system. a high level of security was in place during the entire time at BAMC. 2004-09-23 A4O-SO No Titles New livery, Royal crest below top windows, logo on nose Seen MCT A4O-SP inside hangar behind preparing for the sale. 2007-04-12 A4O-SO No Titles Seen DOH In Doha for a few days for the GCC meeting held in Doha. 2008-01-02 A4O-SO No Titles New livery, Royal crest below top windows, logo on nose Seen HAM Arrived from MCT only to take freight, leaving some 90 minutes later for return to Muscat. 2008-06-13 A4O-SO No Titles Seen MUC Based at MUC during the Summerholidays of the Sultan. Today together with VP-BAT at Munich Airport! 2010-12-04 A4O-SO No Titles Seen STN Another visit from OOMS/Muscat as ORF2, returning back home on next day (Dec 5) with same callsign. 2012-06-30 A4O-SO No Titles Seen STN Arrived and parked. 2013-03-03 A4O-SO No Titles Seen FKB Seen active, arriving and departing one hour later to MUC. 2013-04-27 A4O-SO No Titles Seen MUC Arrived at Munich. 2014-04-28 A4O-SO No Titles Seen STM Seen taxiing. 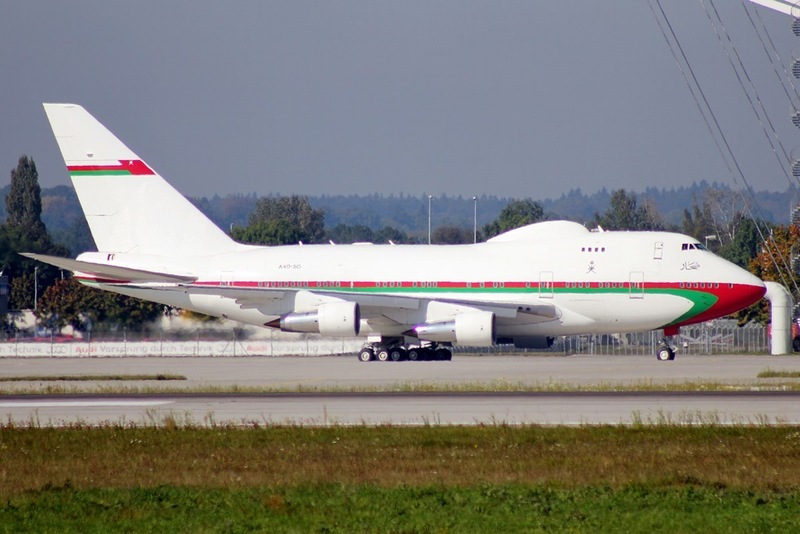 2014-09-29 A4O-SO No Titles New livery, Royal crest below top windows, logo on nose Seen MUC "ORF2" arriving from MCT. 2015-02-07 A4O-SO No Titles Seen MUC Landed 08R around 12:30 local time. 2017-03-05 A4O-SO No Titles Flight MCT Departed MCT heading north. 2018-04-08 A4O-SO No Titles Flight HAM Flight ESB-HAM for maintenance. 2018-12-09 A4O-SO No Titles Flight RUH Attended GCC meeting. 2018-12-09 A4O-SO No Titles Flight MCT Returned from GCC meeting. 2019-02-23 A4O-SO No Titles Flight SSH Departed MCT at 10:19 UTC and headed southwest for Arab-EU meeting in Sharm El Sheikh, Egypt.